Bitcoin and Litecoin are some of the oldest cryptocurrencies in the world. Bitcoin was launched in 2009 by Satoshi Nakamoto, whereas Litecoin launched in 2011 (Created by Charlie Lee). Litecoin is an alternative to Bitcoin, some even state it to be the Silver to Bitcoin’s gold. The good people at Day Trade Review have provided some comparisons of the differences. As you can imagine, there are quite a lot of differences between these Litecoin and Bitcoin. First, you will notice that the coin limit is very small in the case of Bitcoin, only 21 million. That definitely makes each coin a lot more valuable. For Litecoin, the limit is 84 million, 4 times higher than Bitcoin. And then there’s the different algorithm, which is SHA-256 for Bitcoin and Scrypt for Litecoin. The mean block time is 10 minutes for Bitcoin and 2.5 minutes for Litecoin. Also, the current block reward is different too, 50 LTC and 25 BTC. Originally, this was 50 coins each, but it most likely changed due to the increased popularity of bitcoin. Then you also have to think about the block reward details. For Bitcoin, the block reward details are halved every 210000 blocks, in the case of Litecoin this happens every 840000 blocks. The fact that a transaction takes 2.5 minutes to process does make Litecoin more appealing, but in the end you do get paid way less for Litecoin. The increased amount of Litecoins available is also why this coin is less popular, because it didn’t reach that uniqueness status Bitcoin has right now. Even the mining process is different for these two. Litecoin uses the crypt algorithm and Bitcoin uses the hash algorithm. This requires a lot of processing power, especially from the processor and GPU. On the other hand, Litecoin is all about harnessing the power of your computer’s and memory during mining. Litecoin’s faster transaction time does make it easier to reduce the risk of cyber attacks. There are a few similarities too. The mining process is rather similar, however the focus is on harnessing power from different sources. At the same time, you get to keep and use Litecoin in a similar way as you would use Bitcoins, with help from a dedicated wallet. The 4x amount of Litecoin may make it less desirable for some people, but both coins do have a limited supply at this time. And, of course, both cryptocurrencies require dedicated mining rigs. Even though Litecoin and Bitcoin do have their similarities, they are definitely different cryptocurrencies focused on solving the same problem. Since regular currencies are regulated, and each transaction is tracked and categorized, these cryptocurrencies make purchases and sales a lot faster. Not only that, but the convenience offered by Litecoin and Bitcoin is astonishing. You also have the investment potential offered by these two cryptocurrencies, more specifically Bitcoins which has been on the rise this year. 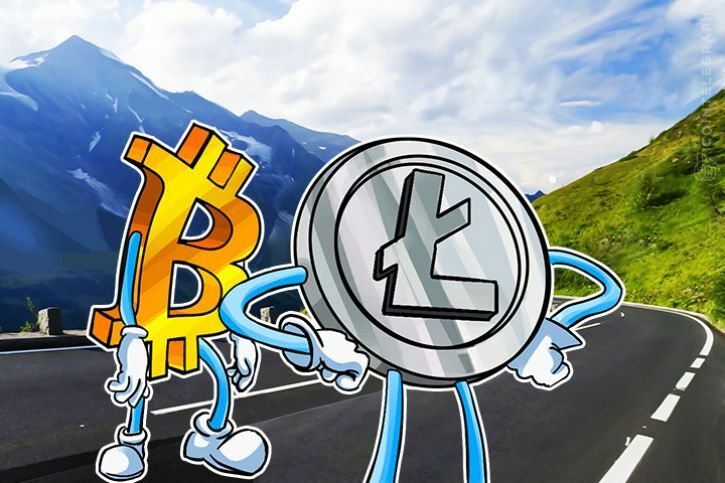 One thing is certain, Bitcoin and Litecoin have been around for quite some time, and they will continue to grow and expand as cryptocurrencies become very popular. When it comes to which one is the best for you, it all comes down to the market value, what you want to use the cryptocurrency for and so on. However, both Litecoin and Bitcoin are becoming increasingly valuable right now, so you should consider checking them out! always interested in learning more about cryptocurrencies. great overview. 2018 Eco Investment Club. All rights reserved.